We have some very impressive fungi coming up in our front garden. 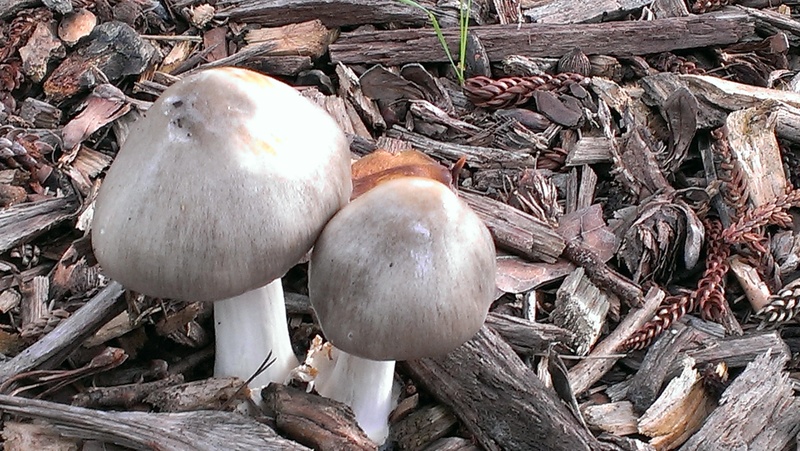 Unbelievably, one of our neighbours is a mycologist who was only too happy to tell me what they are. 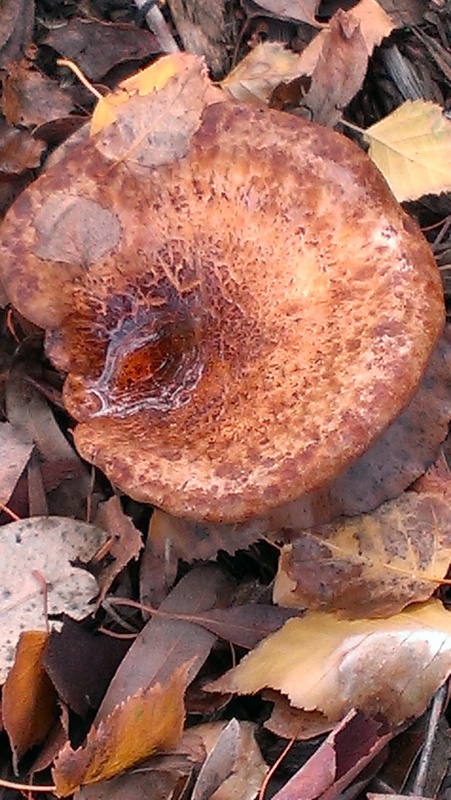 Paxillus Involutus, also known as ‘Poison Pax’. I readily agreed not to include them in dinner! 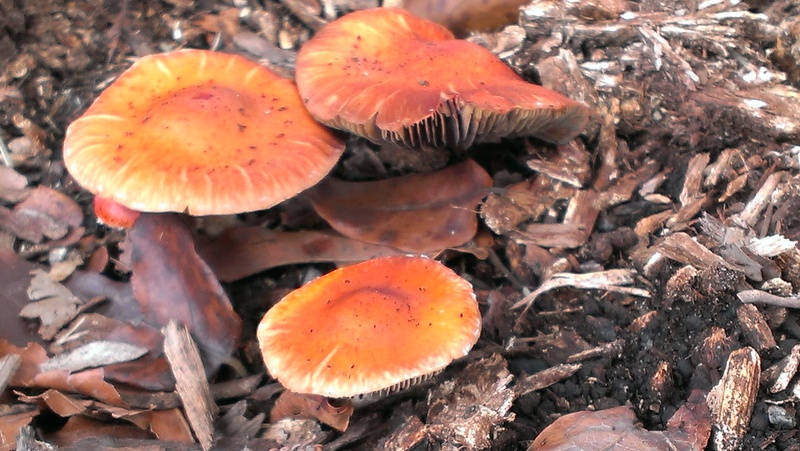 These fungi are not native to Australia but have been inadvertently introduced. We initially thought their appearance in the root zone of a silver birch at our place meant the birch might not live long. 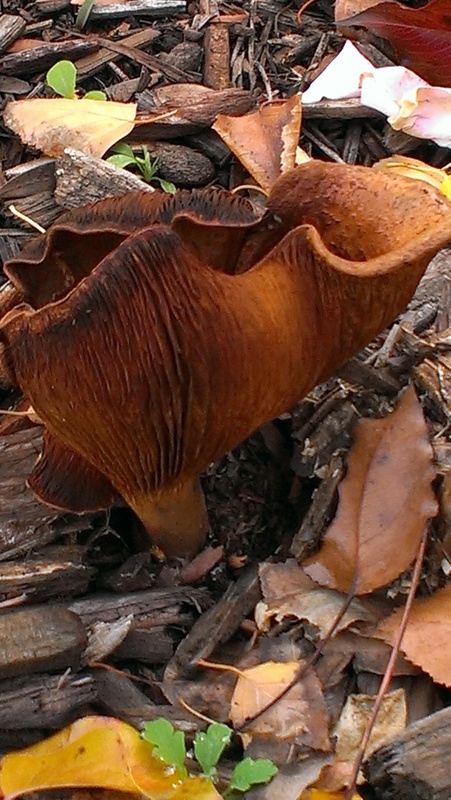 It turns out that these fungi serve the plant and form a relationship with it which is of benefit to the tree. I’ve wandered the interwebs looking for information and discovered a range of different perspectives on what colour these fungi can give in dyeing, with some suggesting a shade of beige–Riihivilla says they are ‘not worth picking most of the time’– while other dyers suggest they give pinkish and greenish browns. 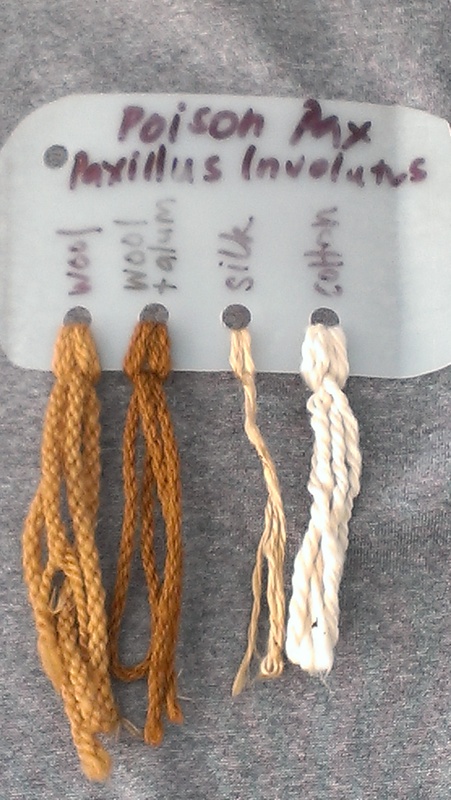 None of it sounds really thrilling, but my opportunities for sustainably dyeing with fungi have been non existent so far. So… I consulted Karen Casselman’s Craft of the Dyer, picked a specimen, tore it up and cooked it for an hour. Then, in with my test sample. I kept that hot for a further hour. It doesn’t really surprise me that Riihivilla is right about this … but it was so exciting to have this fungus in my own yard, I had to try it out. Since I’m talking fungi, here are some I came across walking through Botanic Park on a completely different dye mission on the weekend. I left them exactly as I found them. On the whole, the best thing for a fungi ignoramus to do, I believe, except when acting on expert advice. Hi, isn’t it nice to find dye fungi in your own yard:) The color you got is about something I would expect from Paxillus involutus, actually you got quite good dark yellow/brown, it could have been lighter color. I think with iron mordant/afterbath you may have gotten olive green. On the whole, it is best to first identify the mushroom before picking it, most mushrooms don’t give any good color, Paxillus involutus is on which gives at least something:). Yes, it has been really exciting to have a dye specimen in my own garden! I didn’t think to try modifiers, but now I have someone nearby who can identify fungi for me–and knows which are common and introduced species–perhaps I will try more. Usually I leave fungi where they are with respect, rather than disturbing them, because I realise I am ignorant.